A good sign for your business is known as one of the longest lasting marketing techniques. You pay for your sign one time, and it provides years and years of exposure for your business. 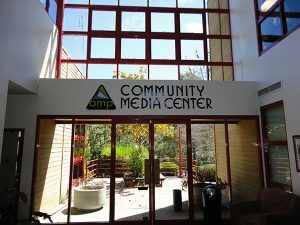 At Signs by Van, we have been providing custom signs to businesses along the NorCal coast for decades, and consider ourselves to be familiar with what makes a sign “work” for a business, especially in our unique area. 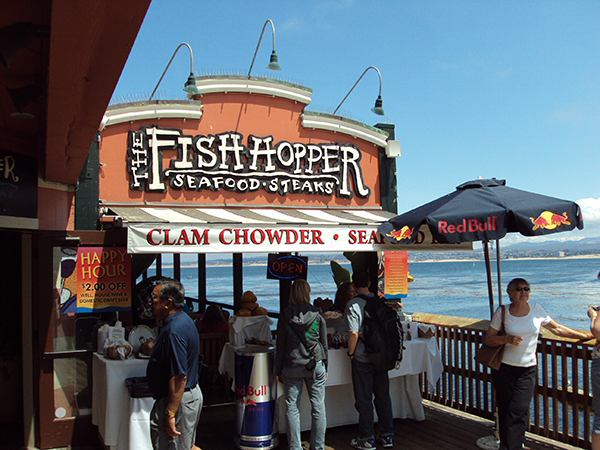 Today, we’d like to share a few tips and tricks to ensure that your sign is a marketing investment for years to come. What do you need from a storefront sign? Are you trying to match your existing brand or are you moving in a new direction? Do you need a certain color scheme? What type of upkeep are you willing to do, if any, to clean and maintain your sign? What is the budget for your sign? These are all questions that should be answered before starting to design your sign or search for a local signage company. If you’re unsure about this, don’t worry. We have dedicated our lives to creating beautiful, custom, and authentic store signage and would love to stop by your business for a free consultation. Depending on where your business is located, there might be specific zoning regulations pertaining to the size, color, and material of your sign. Check out your local zoning laws, or let us know if you’re confused about what is allowed in your area. Additionally, after we complete the initial design you will need to apply for city approval. The last thing we want to do is create a beautiful sign that you can’t even display. There’s a bit of a conundrum when it comes to good signage. You want to stand out, but you want to stand out in the right ways. Look at other signs on the block. Which businesses seem to be popular, and which are lacking foot traffic? Do you think it has anything to do with their signs? While we will absolutely work with your idea, our sign experts can give you advice on what types of signs will look good in your area and stand out because of their aesthetic and appeal, not because they stick out like a sore thumb. Signs should be short and to the point, with little text other than the business name. In some cases, you may want to include the city name, the year established, or the street number. If your business name doesn’t explicitly describe your service or product, then you can add a few words. For example, a sign we did for the Pebble Beach Market also says, “Deli, Wine, Gifts,” so customers have an idea of what type of market they are. Signs are often seen for only a couple seconds, so making it succinct will go a long way. A good logo can do so much for a business, and if you can put that logo on your sign, even better. Think of companies like Apple, Starbucks, and Nike. They don’t even need to put the name of their store on their sign because their logos are so iconic. If your logo is confusing, illegible, or boring, customers may not want to stop by your business. While it’s one thing to realize you need a new logo after you print a bunch of business cards, it’s another issue entirely if you put your logo on a custom business sign only to decide you want to change it. Our designers can help design a logo if you need one. This one seems obvious, but you’d be surprised how many people put up signs that are only visible from one side of the street, or that you can’t see at nighttime. Signs are meant to help people find your business, let them know what your business is or does, and draw people in. If someone can’t physically see your sign, then they won’t know what you do and they won’t walk into your store or office. This doesn’t mean you need a giant flashing neon sign, but something as simple as a small mounted spotlight will make sure your sign is seen even when your business is closed. 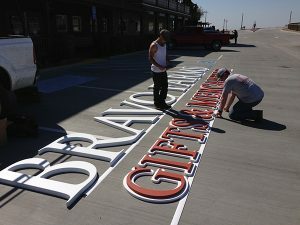 If you need a custom sign in Northern California, our custom signage shop in Monterey is here for you. We service San Francisco, Fresno, San Luis Obispo and everywhere in between, including Carmel, Seaside, Salinas, Big Sur, and even have signs as far away as Japan. As your local sign shop, we have been hand crafting beautiful signs in Monterey for over 30 years, and would love to help create storefront signage for your business. Check out our portfolio to see what we can do, and contact us today for a free on-site consultation.